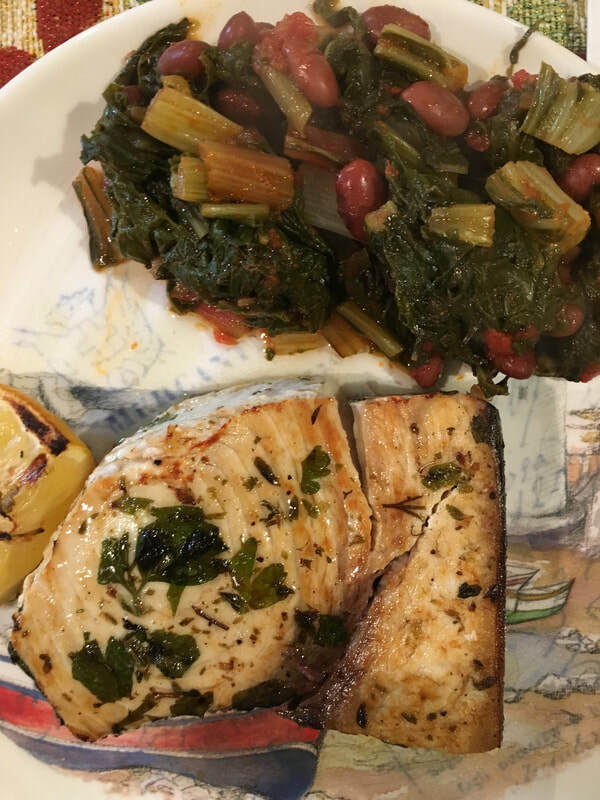 Baked swordfish, a staple on many Calabrian dinner tables, is Mediterranean cuisine at its best. 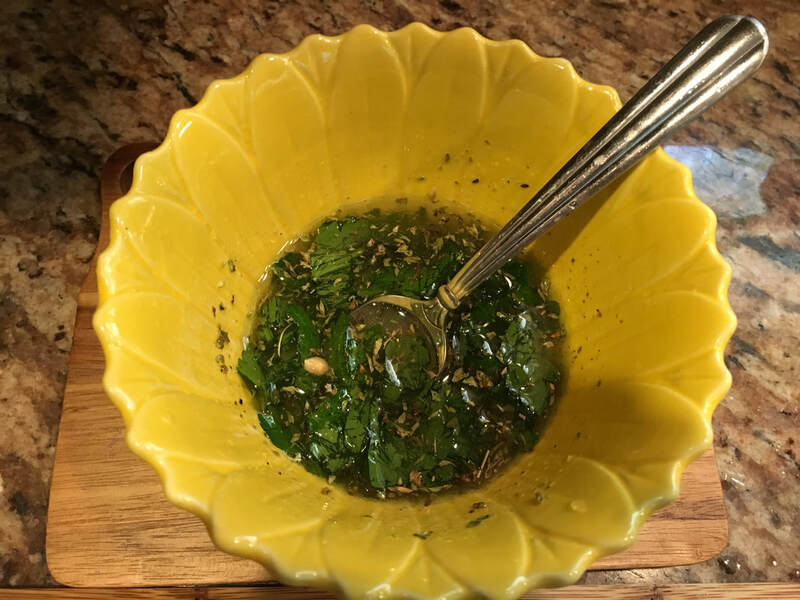 The following recipe, created by Francesca Montillo, appears on The Lazy Italian. As you might know already, the cuisine of Calabria, my native region, is very much influenced by its geographic location. As such, cucina marinara, or cuisine of the ocean is very prevalent. Rich in gifts from the surrounding oceans, seafood is a popular staple on Calabrian tables, not only regularly served in countless ways, but also cured in locally-produced olive oil. 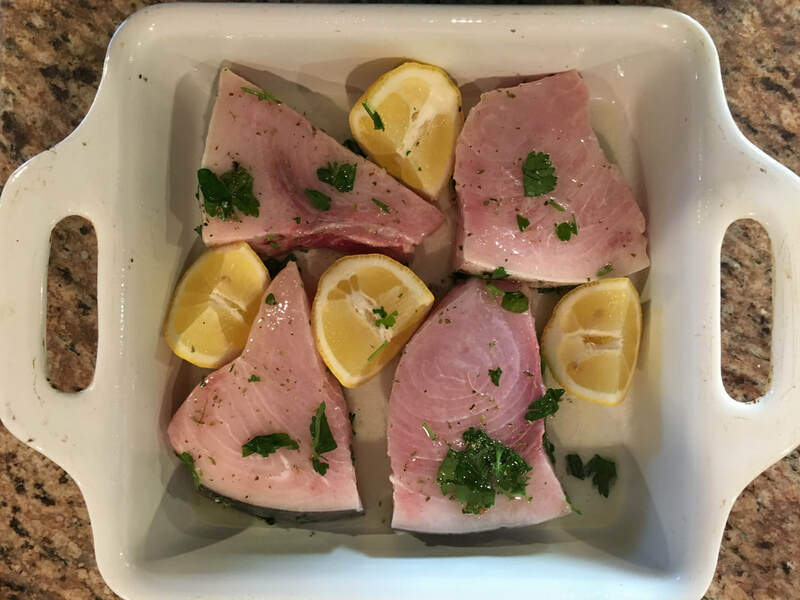 Swordfish and tuna are commonly prepared “sott’ olio;” a traditional curing process that is very popular in Southern Italy, not only with seafood but also with countless vegetables, olives and mushrooms. Anchovies, known as alici in Italy, salted cod; better known as baccala, sardines, mussels and clams are just a few of the favored seafood options found in Calabria. And while the anchovies are delicious simply floured and fried, pasta dishes with swordfish, mussels or clams are plentiful. 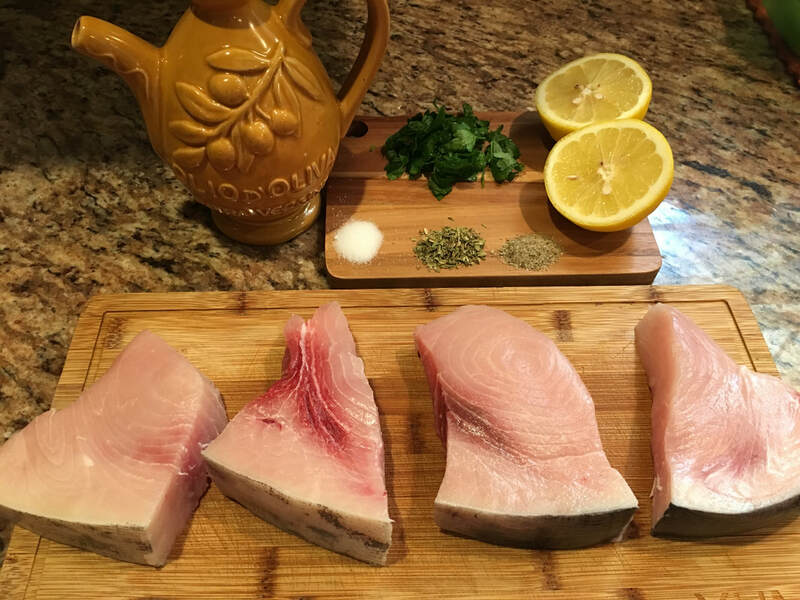 While all seafood is prevalent in Italy, swordfish is very dominant and eaten frequently. Most often eaten simply grilled and lightly seasoned, it is also prepared with pasta, or other typical vegetables, such as eggplants and zucchini. While “alla brace” or grilled on charcoal is ideal, it is not always possible, thus baked in the oven is a wonderful alternative. 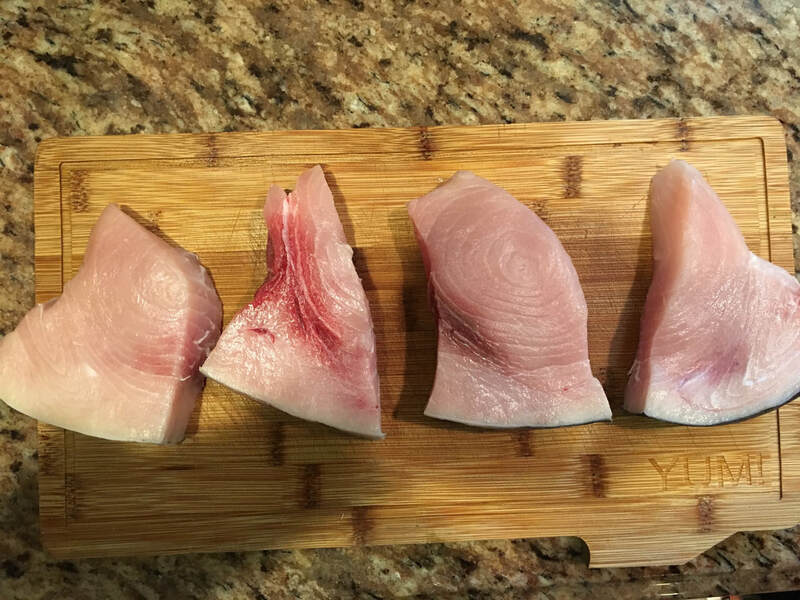 It is imperative that you buy the freshest swordfish possible. This recipe serves 4 very nicely. Swordfish is filling so about 5 ounces per portion should suffice. 1. Preheat oven to 375 degrees. Prepare the swordfish washing it under cold running water. 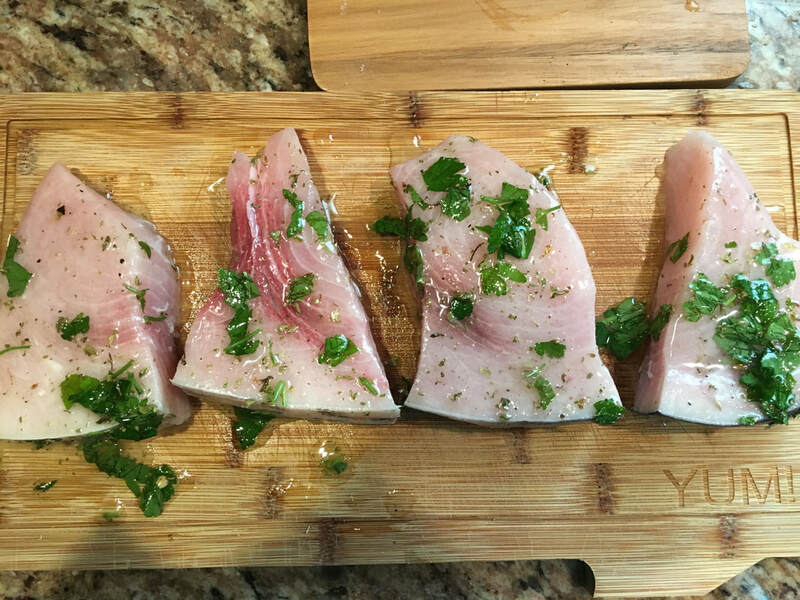 Dry the fish with clean paper towels and set on a clean cutting board. 2. Prepare the dressing by adding the olive oil to a small bowl. 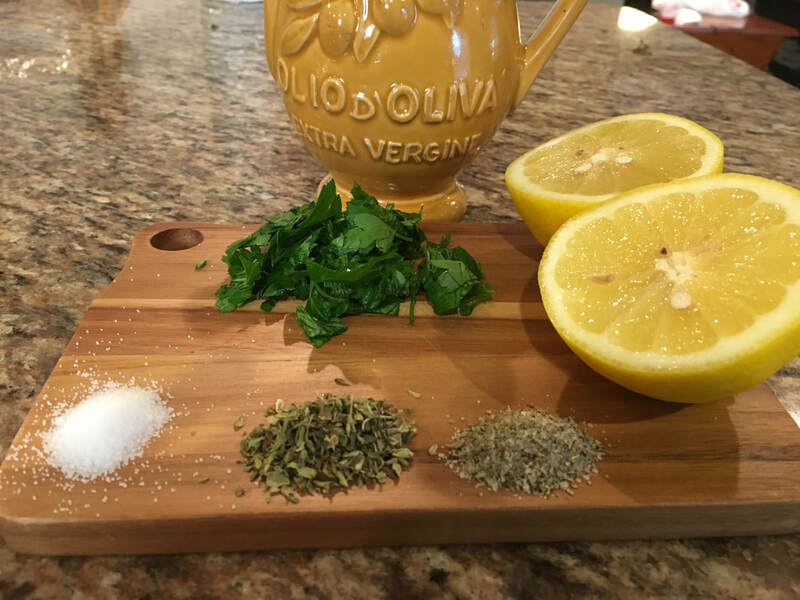 To the bowl, add several tablespoons of finely chopped parsley, one minced garlic glove, oregano and the juice of one lemon. Add salt to taste, about one teaspoon is average. Using a fork or small whisk, mix the ingredients well until you have a homogenous dressing. 3. Pour the dressing over the fish evenly. Bake fish in the oven for 13 – 15 minutes. Turn over and bake for an additional 15 minutes. (For additional flavor, you may wish to let dressed fish rest at room temperature for up to 30 minutes before baking.) 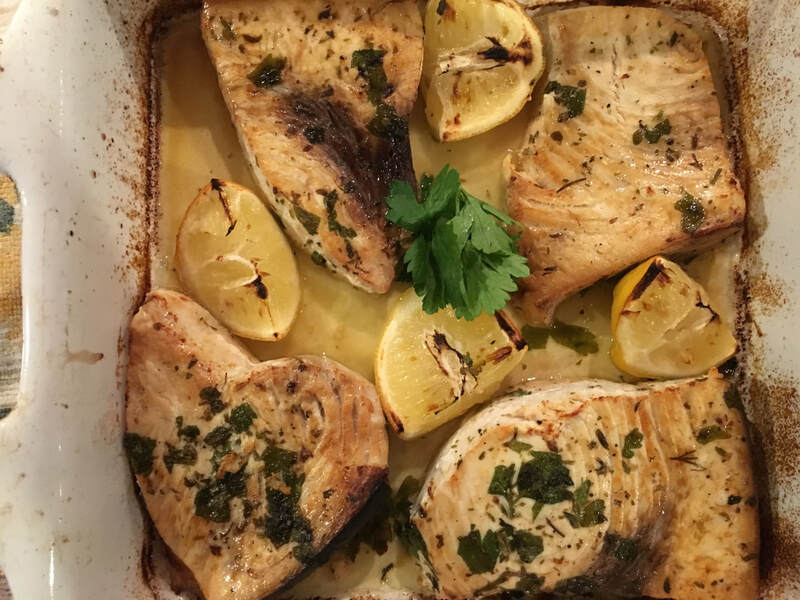 Adjust baking time if your swordfish steak is thicker than ½ inch. Serve immediately. Note: For a crunchier version of this exact dish, bake it on a baking sheet instead of a baking dish, it will dry up faster and the corners will get crunchy and super tasty! Lucious slices of beef braised to perfection.